I recently tried the various flavors of So Good So You Dairy-Free coffee’s and they were all delicious. A combination of coffee, cashew milk and nuts to add flavor, caffeine and protein. More info about both International Coffee Day September 29th-October 1st and Coffee So Good on the links below. So Good So You Dairy-Free coffee’s will also be featuring a special shipping deals, 15% off with ICD2017. 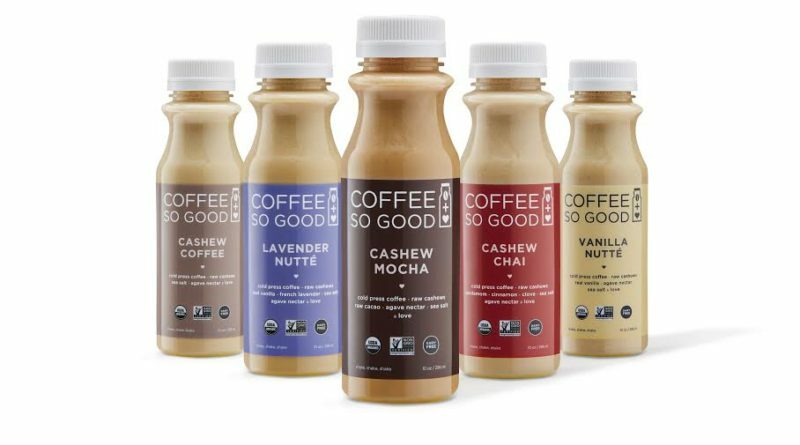 So Good So You Dairy-Free Coffee is made with 100% organic and non-GMO verified ingredients and each bottle of cold-brew coffee is protein-packed from the power of raw cashews. The delectable flavors come from real ingredients like French lavender and raw cacao, and never from ‘natural’ or artificial flavors or concentrates. Coffee So Good launched in April 2017 and can be found in select TARGET and Kroger stores and specialty grocers nationwide, as well as online.